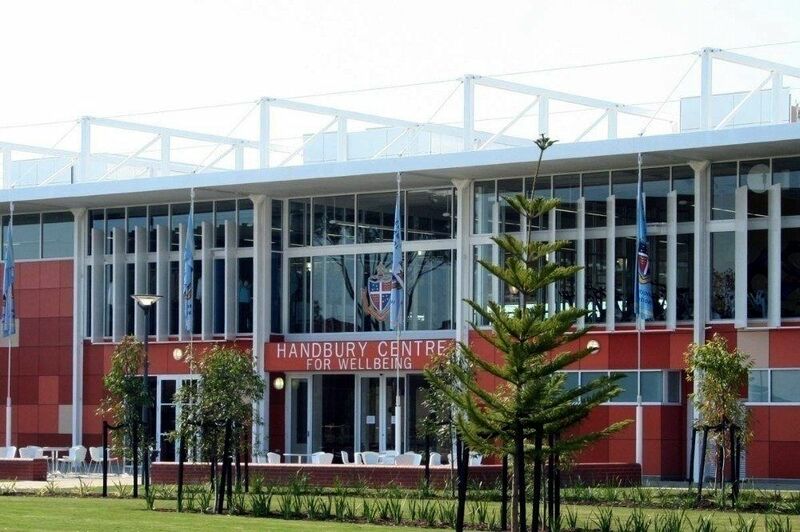 Located at the Geelong Grammar School’s Corio campus, the innovative $16M Handbury Centre for Wellbeing not only embraces environmentally sustainable design but is part of a much wider focus; a rationale that combines wellbeing and positive psychology to deliver positive education. 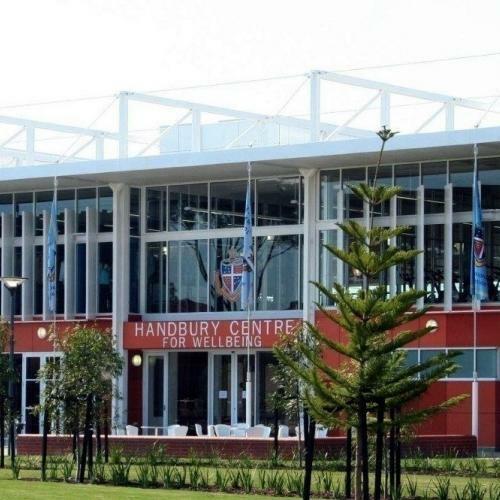 The Handbury Centre is a community space that focuses on proactive wellbeing and supports the physical and mental health of the students; providing them with the opportunity to take control and have a positive impact on their own wellbeing. It is a special place where students can socialise, exercise, train and seek out information or expert advice. 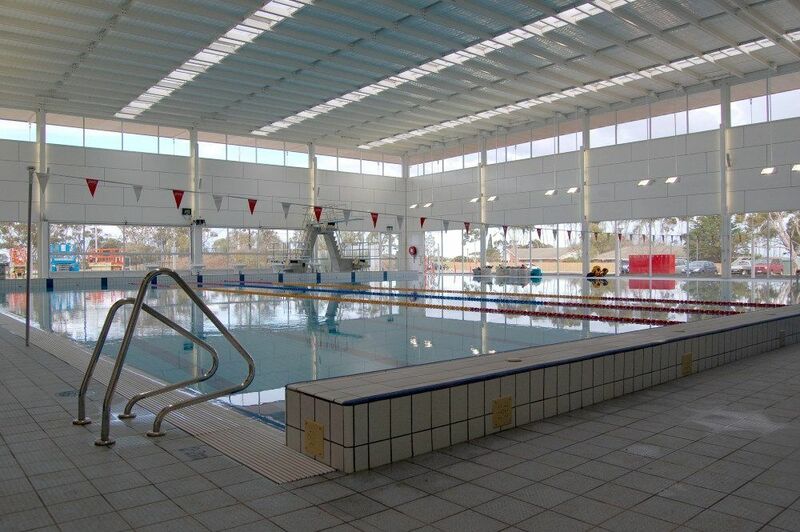 With its Sports Hall and Dance Studio, Medical Centre, Cafe, Fitness Centre and magnificent FINA-accredited 25 metre swimming pool and diving facility, this state-of-the-art building also features a number of environmentally sustainable design (ESD) initiatives including Active façade, natural ventilation with night purge and rainwater reuse. 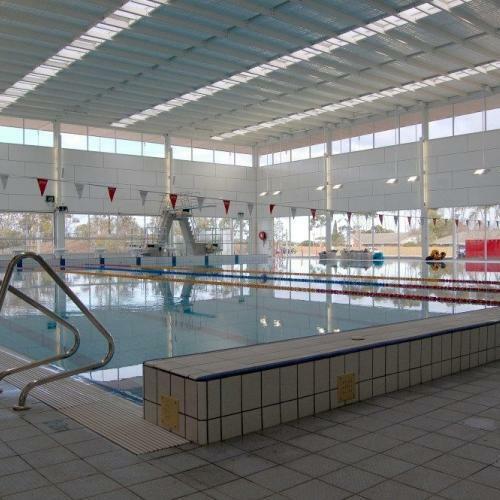 The design approach to heating the 25m swimming pool has also focused on energy efficiency through the use of two High-Efficiency Meridian Condensing water heaters, supplied by Automatic Heating. 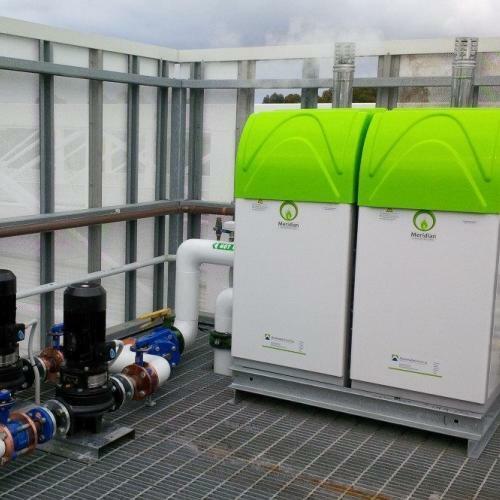 Able to be cascaded and bolted together, these floor standing masterclasses provide 150kW of energy efficient water heating capacity, totaling 300kW of energy saving quality. 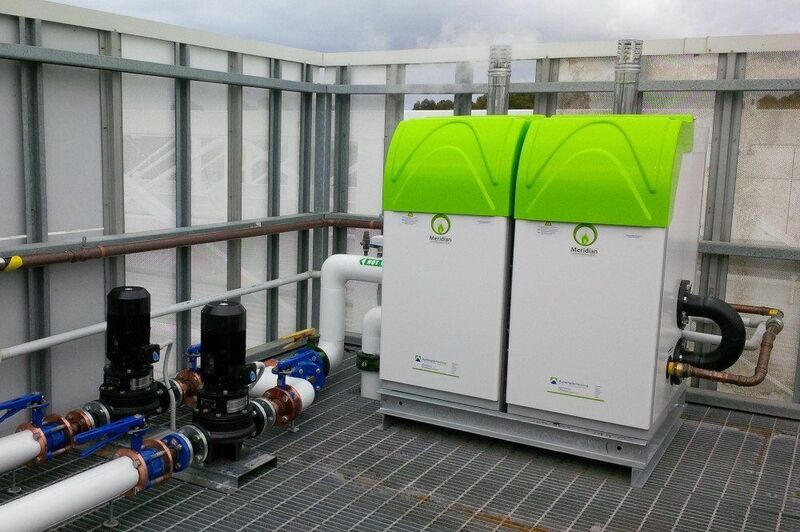 These units can achieve a net efficiency of up to 108.6% to deliver seasonal savings of up to 35% over conventional water heaters. Where two or more Meridian Condensing Hot Water Heaters are cascaded together, smart cascade controllers can provide lead and log control, staging and duty cycling for optimum efficiency and water heater running time. 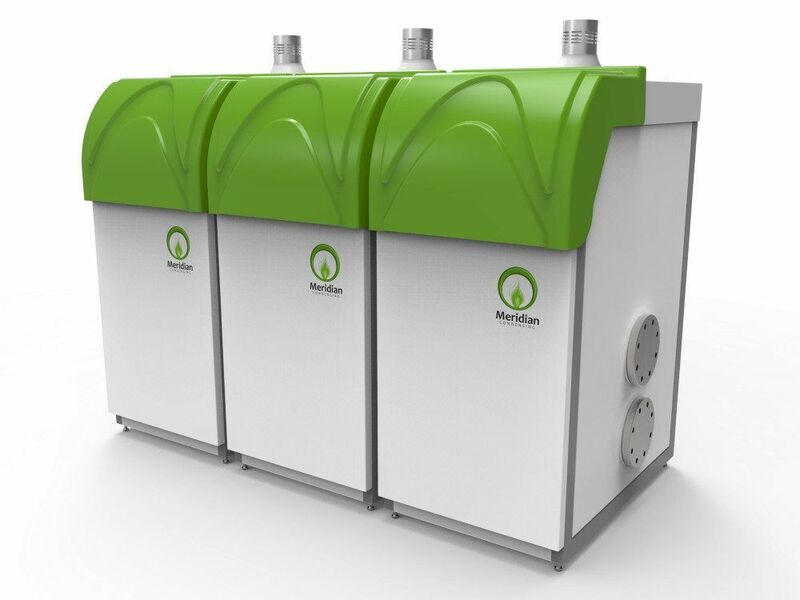 For more information about the versatility and adaptability of the Meridian Condensing Water Heaters and to take advantage of the competitive packages available, call us on 1800 337 959.